Why India is a preferred health destination for the world ? Medical tourism is a growing sector in India. In October 2015, India's medical tourism sector was estimated to be worth US$3 billion. It is projected to grow to $7–8 billion by 2020. According to the Confederation of Indian Industries (CII), the primary reason that attracts medical value travel to India is cost-effectiveness, and treatment from accredited facilities at par with developed countries at much lower cost. The Medical Tourism Market Report: 2015 found that India was "one of the lowest cost and highest quality of all medical tourism destinations, it offers wide variety of procedures at about one-tenth the cost of similar procedures in the United States. Foreign patients travelling to India to seek medical treatment in 2012, 2013 and 2014 numbered 171,021, 236,898, and 184,298 respectively. Traditionally, the United States and the United Kingdom have been the largest source countries for medical tourism to India. However, according to a CII-Grant Thornton report released in October 2015, Bangladeshis and Afghans accounted for 34% of foreign patients, the maximum share, primarily due to their close proximity with India and poor healthcare infrastructure. Russia and the Commonwealth of Independent States (CIS) accounted for 30% share of foreign medical tourist arrivals. Other major sources of patients include Africa and the Middle East, particularly the Persian Gulf countries. In 2015, India became the top destination for Russians seeking medical treatment. Chennai, Jalandhar, Kolkata, Mumbai, Hyderabad and the National Capital Region received the highest number of foreign patients primarily from South Eastern countries. Why India is best for Health needs ? India has 28 JCI accredited hospitals. However, for a patient traveling to India, it is important to find the optimal Doctor-Hospital combination. After the patient has been treated, the patient has the option of either recuperating in the hospital or at a paid accommodation nearby. Many hospitals also give the option of continuing the treatment through telemedicine. The city of Chennai has been termed "India's health capital". Multi- and super-specialty hospitals across the city bring in an estimated 150 international patients every day. Chennai attracts about 45 percent of health tourists from abroad arriving in the country and 30 to 40 percent of domestic health tourists. Factors behind the tourists inflow in the city include low costs, little to no waiting period, and facilities offered at the specialty hospitals in the city. The city has an estimated 12,500 hospital beds, of which only half is used by the city's population with the rest being shared by patients from other states of the country and foreigners. Dental clinics have attracted dental care tourism to Chennai. The government has removed visa restrictions on tourist visas that required a two-month gap between consecutive visits for people from Gulf countries which is likely to boost medical tourism. A visa-on-arrival scheme for tourists from select countries has been instituted which allows foreign nationals to stay in India for 30 days for medical reasons. 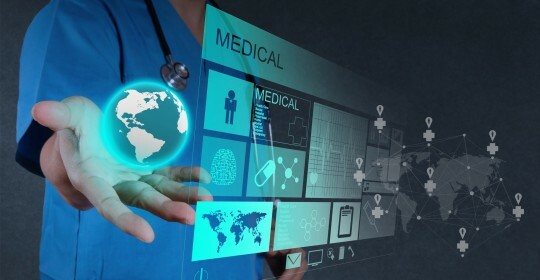 Medisensehealth.com has been a front runner in providing Online Medical Opinion, Treatment Options & logistical support for international patients. This platform is a one-stop-shop for all the health needs of the patients. This platform has a tie-up with all the major Hospitals in India viz. Fortis, Apollo, Manipal and many more depending on the treatment sought by the patients. Following are the benefits for patients availing the healthcare facilities in India. 2. Patients can choose the specialists / hospitals or ask Medisense for recommendations. 3. Patients receive treatment options both in allopathic and Ayurvedic health streams. 4. Depending on the treatment options, cost details, treating doctor's details will be sent to the patient. 5. Patients get a choice to speak to the consultant and his team through skype or phone. 6. If the patient decides to visit India, then medical Visa will be processed. Travel/accommodation can be arranged by the patients or else ask our coordinators to arrange for the same. 7. Post treatment in India, if patients wants to recuperate at a holiday destination like Goa, Agra or any area interest, just let our travel team know, they shall arrange for the same. 8. Post treatment support back in the home country of the patient will also be arranged by medisense. We are the single point of contact for all our international patients, while you are in India.